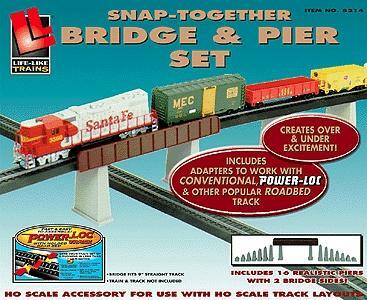 This is an Bridge/Pier Set Power-Loc(TM) Model Railroad Bridge in HO Scale from Life-Like Trains. Make any model railroad more fun with these working structures! Models are designed for Power-Loc track-and-roadbed system, but are compatible with standard track.